The person next door spends an average of $72 a month. On average, Mainers are paying $1,357 every month on homeownership costs. There are 745,000 homes in the Pine Tree State, 72% of which are occupied by owners. Maine is located in the northeastern side of the US and is well-known for its rocky coastline. It is the twelfth smallest state in the country. While hurricanes are very rare in this state, as it is on the northern side with colder waters, it is prone to storms, flooding, and wildfires. After heavy snowfall in winters, the melting process and heavy rains become the reason for floods. In 2008, the Saint John River flood caused a lot of destruction in northern Maine. According to Environment Maine’s report, global warming can lead to more extreme weather conditions in the future. To tackle the aftereffects of these floods and other natural disasters, homeowners are looking to home insurance for protection. There are many insurance companies in this state which are providing services for such circumstances. Try our free comparison tool that will give you a list of home insurers in your area. Then you can get quotes from your list to compare and find the best rates around! Are you a homeowner in Maine and perhaps wondering how much home insurance in Maine typically costs? Or maybe you are looking to perhaps save a bit on your home insurance? If these categories fit you, you are in the right place. To learn more, read below. 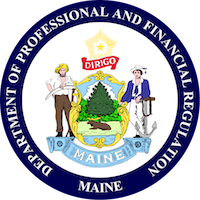 The average premium rate in Maine is $866 annually, which comes to $72 per month, in 2016 (latest available data from Insurance Information Institute (III)). Despite the harsh cold weather and frequent floods, this state has one of the lowest premium rates in the country. This rate is lower than the average national premium with a difference of $326. The rate will be affected by the coverage you are seeking for, the discounts offered by the company and the company’s reputation in the market. You will have a lot of options to select from so choose a policy or coverage which suits your requirements the best. Homeowners in Maine can enjoy the best policies at the lowest prices. There are also companies that offer discounts, which further reduce the expense. Following are some popular homeowners insurance companies in Maine. Their ratings from AM Best, JD Power and S&P have also been mentioned so that you can get a better picture of the companies. State Farm has been serving its customers since 1922. According to the rating agency AM Best, State Farm scored a rating of A++ (Superior) for its financial strength. In 2017, State Farm was one of the most popular insurance companies in Maine for homeowners insurance, with a market share of 11.9 percent. It also scored the highest on the JD Power customer satisfaction survey by earning a score of 825 out of 1000. Its ratings and scores show that it is financially stable and can serve its customers in their times of need without any delay. The homeowners insurance it provides offers coverage and add-ons for extreme weather conditions such as storms, lightning, fire, wind, and floods. Its policies also include coverage for damages caused by situations other than weather, such as theft. This company claims to be accessible 24/7 for its customers, may it be on the web or through the phone. If you have a damaged floor due to flooding or any other catastrophic event, you can use its Premier Service program, which will help you get in touch with a certified contractual worker who can fix the damaged floor. Allstate has been serving its clients for decades as it was founded in 1931. This company can be a desirable option for you due to its extensive coverage policies along with the many discounts they offer. This company received a score of 822 out of 1000 in the JD Power customer satisfaction survey in 2018 and was awarded a rating of A+ (Superior) from AM Best. Being the third most popular homeowners insurance company in Maine, Allstate had a 6.6 percent share in the home insurance market by 2017. The company provides coverage for theft, fire, hurricane and hail. Like most other insurance companies, it also offers discounts for its valuable customers such as a Welcome discount with a 10% reduction in premiums, and a Multi-Policy discount where you can save 25% if you get insurance for both your home and automobile. For further information on what type of coverage you can receive with Allstate’s homeowners insurance, you can call its local agents who are available 24/7. They can help you figure out which policy can cover all your needs and what type of discounts you can get. This company has been in the market since 1912 and has been serving its customers with the best policies. It scored a rating of an A (Excellent) from AM Best and an A (Strong) from S&P. Furthermore, the JD Power survey shows its customer satisfaction at 797 out of 1000. By 2017, this company had an 11.5 percent home insurance market share in Maine. Liberty Mutual offers many discounts along with insurance policies which can save you a lot on premiums. You are eligible for these discounts if you have protective devices installed in your home, if you have purchased a new house or if you go for bundle offers like getting home and auto policies together. If you are looking for an agent in your area, you can use its agent locator feature, which allows you to know which language the agent speaks and their availability and contact. Along with providing coverage for your property, Liberty Mutual offers add-on protection for your valuables along with water backup and inflation protection. You can also buy policies online, but for that purpose, you must know certain details about your home like its construction and renovation costs. Due to global warming, the weather is expected to get even harsher, so it is imperative that you consider insurance for your house and be prepared for any situation. Popular homeowners insurance providers in Maine are mentioned above, to give a clear picture of their position in the market, their ratings and their customer satisfaction score. You may find differences in the quotes your getting as premiums are dependent on the age and value of your house, its location, and the company which is providing you the services. With all this information, it is fairly clear that Maine is a pretty good state to be in for homeowners insurance. But what if the average of $866 for a premium is still too much for your liking? Are there any ways to lower your homeowners insurance costs? The good news is that yes, there are ways to do just that. Below are some ideas on how to lower your costs on homeowners insurance. This might involve a bit more work and time, but it can be well worth it. By checking a variety of companies and shopping around, you can save a significant amount of money. Saving money is important, but getting quality service is important as well. By shopping around, you can get a good feel of different insurance companies and the services they are willing to offer, as well as getting a good price estimate for your house. Make sure to get a reputable company that will really do their best to help you should the need ever arise. If your house is at risk for getting damaged, your insurance prices will go up. This is simply the way that insurance companies work, as they have more risk to assume if your house is prone to damage. You can help lower your costs by making your house more damage resistant. This can include getting storm-resistant features on your home, as well as making it more resistant to natural disasters. There are other procedures you can do to make your house less of an insurance risk, such as replacing old wiring or heating systems. These are two simple ways that you can lower your homeowners insurance costs. There are many more ideas on how to do this, however, so make sure to do your research. For more on this topic and other ideas on how to save money on insurance, check out this article. That being said, if you are a homeowner in Maine, or are looking to buy a house in Maine, you are in the right place, as Maine has had some of the lowest insurance premiums in the country.